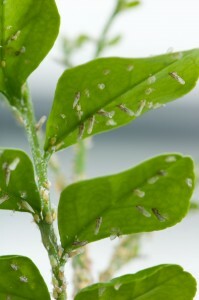 Asian citrus psyllid, also referred to as ACP, poses a huge threat to California’s citrus trees. The parasite is very tiny and brown in color, and a proven track record of spreading a deadly virus. It’s proven to be a irksome pest to curb. It has caused untold amount of damage all throughout California. These tiny pests spread the disease called, Huanglongbing. It’s important to be proactive in preventing this disease and responding immediately upon the detection of the presence of these insects. The professionals at Kastle Kare, have a documented success rate of preventing and treating Asian citrus and saving an untold amount of damage and cost in fighting and treating Asian citrus disease. It’s extremely important to for high risk areas in the coastal areas of California to have regular inspections to safeguard against Asian citrus. Detection can be extremely difficult regarding Huanglongbing also known as HLB, for most lay individuals. It’s crucial for high risk areas to have monthly inspections to safeguard against Asian citrus. The professionals at Kastle Kare, can expertly diagnose, treat and cure Asian citrus professionally and securely.